Dec. 6, 2018, 1 p.m.
By Laura Hazard Owen @laurahazardowen Dec. 6, 2018, 1 p.m.
People like smart speakers, but there are a lot of things they don’t like about news on smart speakers. 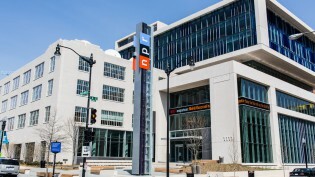 The other clear antecedent to Google’s effort is NPR One, the public broadcaster’s popular app that also itemizes individual stories into streams that can be personalized based on user behavior. 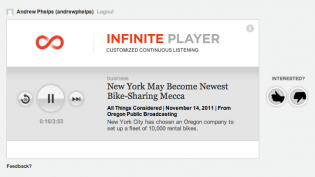 (We first wrote about it way back in 2011, in its previous iteration as the Infinite Player. Yes, enjoy that rarest of moments: Google catching up to an idea public radio had 7 years ago.) About 19 percent of NPR streaming now goes through smart speakers, up from just 4 percent a year ago. NPR One, though, is mostly (if not entirely) about the broader public-radio universe of audio; Google’s effort has no such boundaries. POSTED Dec. 6, 2018, 1 p.m.
Owen, Laura Hazard. 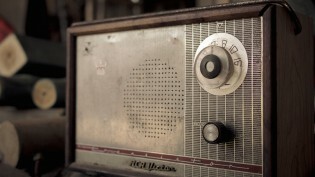 "Google is launching a voice-driven version of Google News for smart speakers and phones." Nieman Journalism Lab. Nieman Foundation for Journalism at Harvard, 6 Dec. 2018. Web. 19 Apr. 2019. Owen, Laura Hazard. 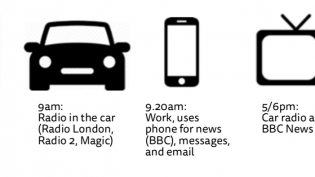 "Google is launching a voice-driven version of Google News for smart speakers and phones." Nieman Journalism Lab. Last modified December 6, 2018. 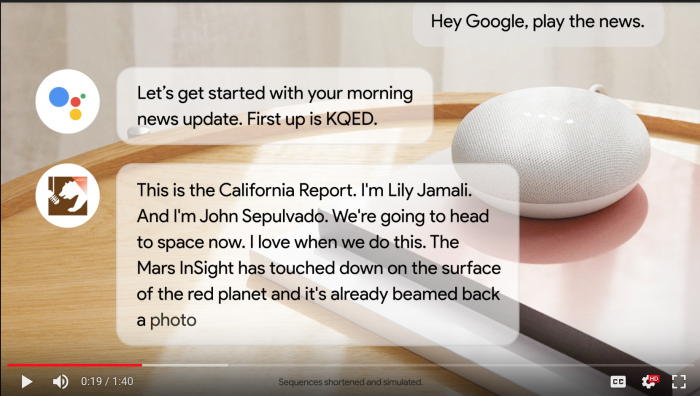 Accessed April 19, 2019. https://www.niemanlab.org/2018/12/google-is-launching-a-voice-driven-version-of-google-news-for-smart-speakers-and-phones/.